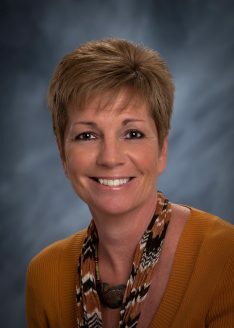 Ann Grosskopf was first licensed in Wisconsin in 1992 and worked for the largest Real Estate Company in Northeast Wisconsin: Coldwell Banker. She was also a Broker Associate in Rapid City, South Dakota. She is a skilled negotiator, and it is her intent to bring buyers and sellers to a mutual agreement. She has considerable title experience, which helps her better understand the closing process of the transactions. Ann earned her GRI accreditation and keeps up on all educational areas of her business to give you the confidence that she will negotiate and make things happen for you! Ann and her husband moved to Vero Beach in 2014 and started her Real Estate career in Florida 2015. She joined RE/MAX Associated Realty due to the power in RE/MAX being worldwide and due to the complete support of the Broker/Owner. Ann and her husband enjoy motorcycling, hiking, fishing, boating, golfing and enjoying the abundant sunshine Florida offers. She has been married for 34 years and has one son who serves in the United States Navy, a shitzu named Calisi and 2 parakeets named Mango and Tango.